No masterpiece is so great as a lost one—a symphony unfinished, a painting painted over, a novel shredded or suppressed. Largely or wholly unheard, unseen, or unread, such a work derives its life, as most objects of legend do, from scraps of generative evidence and the accretion of romantic speculation about them, and it takes its lasting if ethereal form in the creative imagination of the public. The lost masterpiece is the only artwork that is perfect, the fulfillment of all our artistic dreams, because it exists primarily or solely within them. only expanded to accommodate ever more forms and new claims. Yes, Orson Welles did well enough with Citizen Kane; but might he have contributed something comparable in the field of non-fiction film had he finished his documentary It’s All True in 1942? (Welles, the Buddha of the Coulda, left a rich legacy of aborted or sabotaged masterworks, from The Magnificent Ambersons through Chimes at Midnight and Touch of Evil to the countless scripts he claimed to have written and discarded.) Did Bruno Schulz really have the Great Jewish Novel in his unread Messiah, or were the accounts of his writing it the greater fiction? How many unpublished manuscripts did the NKVD steal from Isaac Babel’s apartment? What if the Reaper had not defeated Duke Ellington in his race to complete his epic jazz opera, Queenie Pie? Such questions are sometimes best left unanswered, as Joseph Mitchell found when he discovered the unseemly truth about Joe Gould’s once glorified but never finished (because it had scarcely been started) “Oral History of Our Time.” Harold Brodkey, who dined well for some thirty years on the reputation of a novel always in progress, could have learned from Gould and left bad enough unpublished. To rephrase the words of the rummy newspaperman in The Man Who Shot Liberty Valance, when the facts spoil the legend, don’t print anything. In 1967, Brian Wilson, the principal composer and producer for the Beach Boys, cut short work on an album for the band first titled Dumb Angel and re-named Smile, which would promptly and henceforth be regarded as the lost masterpiece of rock. One was due. Rock and roll, then about fourteen years old, was approaching the end of a pop-music style’s usual life cycle, with its original audience entering adulthood. It had to change (as swing music had, transmuting into bebop, for the previous generation) or give way to something new. Rock musicians, emboldened by an emerging school of serious-minded rock critics, grew progressively adventurous, and their records became more conspicuously artful—more complex and sophisticated, but idiosyncratically so, drawing upon the ability of recording technology to conjure the volatile multiformity of the drug experience. In May 1966, the Beach Boys had released Pet Sounds, the group’s resourceful venture into sonic experimentation and lyrical introspection, which Paul McCartney, duly provoked, would call “the album of all time.” Three months later, the Beatles issued Revolver, the eclectic forerunner to Sgt. Pepper’s Lonely Hearts Club Band (and its superior, song for song, for all Sgt. Pepper’s invention). With Smile, Wilson would later explain, he set out to surpass everything that he and his bandmates and the Beatles and every other rock musician had ever done. He said he wanted to make the greatest album in rock history, “a teenage symphony to God.” The cultural economy had entered an inflationary stage. Looking back after thirty-seven years, knowing as we do that some rock musicians of the late 1960s and 1970s lost their way in the fantastical land of pointy hats and the London Symphony Orchestra, we may be quick to dismiss grand aspirations such as Wilson’s as misplaced for a pop artist. We saw punk come along in the 1970s and yank rock and roll back into the garage, where it sounded primal and true again. But ever since then, we—critics, especially—have tried to keep the music locked there, effectively containing it in an orthodoxy as formal and rigid as that of chamber music or bluegrass. No wonder so many rock bands sound dull today; imprisonment deadens. In the face of countless new bands of neo-punks replicating the thrashing of their parents’ era like karaoke, who wouldn’t find relief in one with the true nerve to try writing a teenage symphony to anybody? Therein we might find the same exuberant naiveté, freshness, and restless fumbling that gave both Smile and early punk their power. Smile was impossibly ambitious and unwieldy, but it was not pretentious—at least not in its original incarnation, and decidedly not in its music. (The nonsensical smugness of the lyrics contributed by Van Dyke Parks is another matter.) Smile was sincerely, perhaps naively, over-reaching, but it didn’t ring false. In fact, the music that Wilson conceived and recorded in 1966 and the beginning of 1967 endures as a testament to postwar popular music’s capacity to resist conformity, and defy category, and indulge the personal, and alienate the masses. Although most of the Smile sessions that Wilson produced for the Beach Boys have yet to be released officially, dubs have circulated in high-quality, annotated bootlegs for decades, and they almost justify the music’s reputation. Wilson, in his prime during the time of Pet Sounds and Smile, was a composer and producer whose very aesthetic was based on a melding of the two roles. He made records rather than absolute music. As he told an interviewer in 1967, “Spector started the whole thing. He was the first one to use the studio. But I’ve gone beyond him now.” Actually, the otherwise contemptible Mitch Miller preceded Phil Spector in employing studio technology and sound effects (a cracking bullwhip, honking geese) to create an aural sphere wholly distinct from that of live performance for the pop-music audience, and avant-gardists such as Pierre Schaeffer, Karlheinz Stockhausen, and John Cage outdid them both conceptually. Still, Wilson, like Spector, the Beatles, and others prominent in 1960s rock, used the studio as a compositional instrument, and an unfinished recording of a piece was, for Wilson, a piece unfinished. Wilson, who has said that he wrote much of the music on hashish as well as amphetamines, has blamed the drugs for undermining Smile, or at least its market potential. ”I thought [Smile] was too weird,” he recently told The New York Times. ”I thought it was too druggie influenced, I thought the audience wouldn’t get it.” But cynics have speculated that Wilson and the band pulled Smile as a tactic to negotiate for higher royalties from Capitol Records. Others have suspected that Wilson broke down under the strain of reaching too far beyond his grasp. Word spread that Wilson had suffered a nervous breakdown—a plausible prospect, considering his history of mental illness; he had long suffered from depression and had been prone to erratic behavior, problems no doubt exacerbated by his hardy recreational drug intake. Around the time of Smile, Wilson had an enormous sandbox constructed in his living room to house his grand piano so that he could wiggle his toes in the sand for inspiration, and when a building across the street from the recording studio burned down a few days after the sessions for “Mrs. O’Leary’s Cow,” Wilson blamed the song, which he believed to have telekinetic powers. To evade inquiries about the record’s status, Wilson would claim that he had destroyed the tapes. This, conflated with reports of the building fire and widespread talk of Wilson’s psychosis, would provide the tragic climax of the Smile myth: the mad genius burns his masterpiece in an oblational pyre. Subsequent unearthing and dissemination of the tapes in the bootleg underground would give the recordings an aura of sacred texts, while Wilson’s reclusiveness and volatility would feed the hoariest adolescent notions about the duality of insanity and inspiration. Brian Wilson, enshrined by his fans as the pop Nietzsche, would never again attempt anything nearly so ambitious as Smile, which no one in the rock audience could legally hear. I had an uncle who gave me dating advice when I was single. ”When a girl stops her train of thought and says, ‘Oh, never mind,’“ he told me, “leave it alone—don’t ask what she was going to say. You don’t want to know.” The rule applies to both genders and transcends courting, I have learned, and I thought of it when I heard last year that Brian Wilson had had a sudden change of heart about Smile. In concert appearances, members of Wilson’s troupe hold him by the arms and guide him to and from the chair he sits in when he sings. To prepare Smile for presentation, many of the same colleagues provided the composer with essential musical support. Darian Sahanaja, keyboardist for the Wondermints, scored musical passages to connect the disparate bits of Smile material, and he smoothed out the endings of pieces and their tempos to give the myriad bits cohesion. Parks, a composer and arranger in his own right—he wrote the scores for the Jack Nicholson movies Goin’ South and The Two Jakes—also contributed ideas to complete the elements of Smile and organize them as a coherent unit. In addition, Parks brought in quite a few lyrics not in the original recordings, perhaps reconstructed from memory or old notes, perhaps newly written. The version prepared for concert performances and adapted for CD, by contrast, is something more advanced and elaborate: a three-movement work of components arranged to flow as of a piece; themes recur, as in formal music—almost always in the new interstitial segments and orchestral flourishes that are the result of recent collaborating by Wilson, Sahanaja, and Parks. The work seems reverse-engineered to fulfill not only the historical promise of the original but also the larger myth that has grown around it. The CD is a compelling argument for Smile’s singularity as a masterwork of long-form pop; but it cannot be mistaken for evidence of it. Unlike the early Beach Boys records that made Wilson’s outsized reputation, the new version of Smile is essentially a performance piece documented on CD, rather than a work inextricable from the recording medium. The basic tracks were taped in segments over five days’ time, with all the musicians, including those in the sizable horn and string sections as well as the rock players, performing live together in the studio. In 1966, Wilson and the Boys spent six months to make the ninety hours of tape that provided the three minutes and thirty-five seconds of “Good Vibrations.” The mise-en-scene of the new Smile is the concert hall, not the studio; and so the CD denies Smile the essence of Wilson’s aesthetic. The biggest problem with Brian Wilson Presents Smile is the absence of the group for which the music was composed. ”The thing is,” Wilson explained in an interview in 1966, “I write and think in terms of what the Beach Boys can do.” Smile was conceived for and geared to their voices—the exquisite blend of their literally related vocal instruments, the muscular grace of Carl Wilson’s lead singing, and Mike Love’s contrapuntal bite. The Wondermints, who are highly proficient musicians, do not have the personality of the Beach Boys; they have a personality of their own, a snarky one that gives their CDs of original material an ironic kick, but they keep it in check here. What they are doing on Smile— superbly—is mimicry, which is a difficult job, but something intrinsically devoid of the veracity and the individuality that made the Beach Boys wonderful. Brian Wilson was never the best singer in the group, and he is trying to carry all the lead vocals some four decades after his prime. His voice, a game old soldier too weak for duty, trudges through the new Smile, struggling to stay in key, swallowing words. All the hazards inherent in the task, artists such as Wilson certainly have the prerogative to return to old work years after the fact. Hell, they’re the artists, and it is their work. If Manét could go into people’s houses and repaint sold canvases, an aging Beach Boy can re-record “Heroes and Villains.” But another question remains: does a different person have the right to take up another artist’s incomplete work and attempt to finish it or to restore it? That is closer to the point with Smile. Brian Wilson is a vastly different man today than he was when he left the music unfinished. We all change over time, though rarely as much as Wilson has as an artist. A few months ago, he released the most recent of his solo CDs, Gettin’ in Over My Head, an assemblage of new recordings so bland, formulaic, and corny that they are irreconcilable with the work of the man who set out to create Smile years ago. They were done by someone else, and that person is clearly not functioning on the same creative level as Wilson was in 1966. It is no wonder that Wilson relied upon colleagues to help bring Smile to the stage and now to CD. What they did is well meant, but it is also at once indistinctive and excessive, like the scene of Turandot added by another composer after Puccini’s death. Toscanini famously dropped his baton when he reached the last bar that Puccini wrote. We could do something roughly comparable and listen only to the original Smile recordings—if a legitimate record company would release them. In the meantime, we have only Brian Wilson Presents Smile. 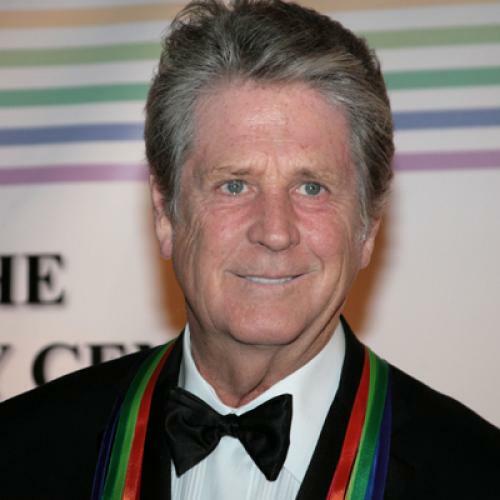 Brian Wilson’s Smile, masterpiece or not, is still lost.